Omar Bradley was born in Clark, United States, on 12th February, 1893. His father, a school teacher who had married a 16 year old pupil, died when he was a child. His mother worked as a seamstress and took in boarders in order to send her son to West Point Military Academy where he graduated in 1915 (44/164). Bradley joined the United States Army and in 1929 became an instructor at the Infantry School at Fort Benning. The head of the institution was George Marshall who was impressed by Bradley's abilities and played an important role in his future career in the army. Promoted to brigadier general, he became head of the Infantry School in February, 1941. After the Japanese attack on Pearl Harbor Bradley was given command of the 82nd Infantry Division. In June 1942 Bradley was given command of 28th Division where he remained until General Dwight D. Eisenhower picked him to go to North Africa. He arrived in Algiers on 24th February 1943, and in April became head of the 2nd Corps during the campaign in Tunisia. Promoted to lieutenant general in June 1943 he served under General George Patton in the conquest of Sicily that summer. Bradley was placed in charge of the 1st US Army in 1944 and after arriving in Britain helped to plan Operation Overlord. After the D-Day landings Bradley was appointed commander of the 12th Army Group. Promoted to four-star general on 12th March 1945, he succeeded Dwight D. Eisenhower as army chief of staff in 1948. The following year he became chairman of the Joint Chiefs of Staff. His memoirs, A Soldier's Story, was published in 1951. After retiring in August 1953 Bradley joined the Bulova Watch Company and became chairman of the board five years later. 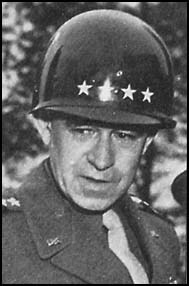 Omar Bradley died in New York on 8th April 1981. Clay Blair used Bradley's papers to publish A General's Life in 1983. Patton: Why are we sitting down doing nothing? We must do something! Bradley: Wait a minute, George! What do you propose we do? Patton: Anything rather than just sit on our backsides! Both were good soldiers. Patton was a thruster, prepared to take any risks; Bradley, as I have indicated, was more cautious. Patton should have lived during the Napoleonic wars - he would have been a splendid Marshal under Napoleon. (2) George Patton wrote about Omar Bradley in his diary on 25th January, 1943. A man of great mediocrity. On the other hand Bradley has many of the attributes which are considered desirable in a general. He wears glasses, has a strong jaw, talks profoundly and says little, and is a shooting companion of the Chief of Staff. Also a loyal man. I consider him among our better generals. (3) General Omar Bradley wrote about George Patton after the Second World War. Why does he use profanity? Certainly he thinks of himself as a destined war leader. Whenever he addressed men he lapsed into violent, obscene language. He always talked down to his troops. When Patton talked to officers and men in the field, his language was studded with profanity and obscenity. I was shocked. He liked to be spectacular, he wanted men to talk about him and to think of him. "I'd rather be looked at than overlooked." Yet when Patton was hosting at the dinner table, his conversation was erudite and he was well-read, intellectual and cultured. Patton was two persons: a Jekyll and Hyde. He was living a role he had set for himself twenty or thirty years before. An amazing figure! I would have relieved him instantly (after the incident at the 93rd Evacuation Hospital) and would have had nothing more to do with him. 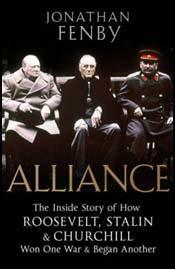 He was colorful but he was impetuous, full of temper, bluster, inclined to treat the troops and subordinates as morons. His whole concept of command was opposite to mine. He was primarily a showman. The show always seemed to come first.